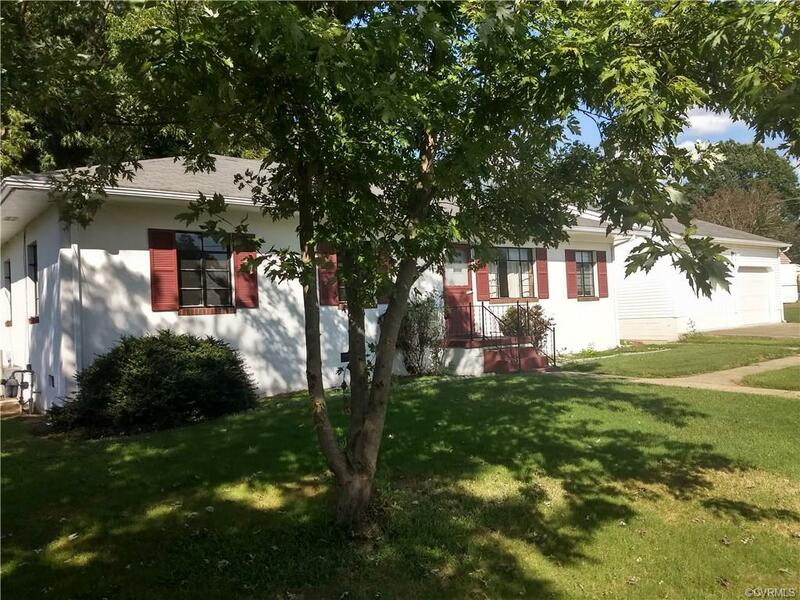 Well maintained ranch style home with 3 bedrooms, 2 bathrooms, family room with large all brick fireplace with Buck stove insert for great heating and eat in kitchen. Living room and bedrooms have wood floors. New vinyl in one bathroom. This home also features a fairly new roof, gas heat, central air and concrete driveway. The work shop building has a wood stove and electricity. Large 2 car detached garage. The sellers are removing the old metal shed. This home is being sold in As-Is condition with no known defects. Directions: W. City Point Road To S. 17th St. To Right On Lee St.